Posted on August 22, 2018 at 6:24 am. "Sketch by John W. Wisecup of burial detail, Hintok, Thailand. Courtesy of the Oral History Program, University of North Texas. In Hell Under the Rising Sun(2008)." John Wisecup was captured on Java after the sinking of his ship, the heavy cruiser USS HOUSTON, on 1st March 1942. The HOUSTON in company with the Australian light cruiser HMAS PERTH was attempting a night passage of the Sunda Straits, between Sumatra and Java, when the ships sailed into a Japanese battle fleet landing troops on Java. John, a Marine during his war service, was sent to Thailand as a member of ‘H’ Force in April 1943. This force was broken into six groups, one of which was allocated to the Hintok section of the railway. PoW drawn map of the Hintok Camps. The Mountain Camp area was called "The Valley of the Shadow of Death"
A number of factors contributed to the high death toll of this group of 600 men. They had already been living as prisoners of the Japanese for more than a year on poor rations. ‘H’ Force remained under the control of the Japanese Administration in Singapore. This meant that all matters concerning the force were dealt with in Singapore – 2,000 kilometres away. Hintok Mountain Camp was situated in an elevated valley high above the railway construction site and about four kilometers from the nearest riverside supply point. The campsite was surrounded, on three sides, by hills and mountains so that in the wet season of 1943 the entire area flooded and turned into a disease-ridden quagmire. The work done by the men at Hintok (including members of ‘D’ Force from Singapore, “Dunlop’ Force from Java and Timor and Dutch from Java) consisted of building several large trestle bridges, constructing a large earth embankment and excavating a number of rock cuttings. With the completion of the railway in the Hintok section, late in July, the survivors were moved down to the Hintok, River Camp to await evacuation downriver to Kanchanaburi. Whilst there many more men died from the effects of the three months in the hell that was Hintok. Unfortunately, over the years most of John’s drawings have been lost or given away (he was a merchant seaman for many years) but equally fortunately the “USS Houston Survivors Association" persuaded him to produce a photocopy collection of these drawings before they disappeared. It has been my privilege to be given a copy of this collection and one of the now rare originals. With John’s permission and blessing this book has now been produced so as to give today’s people a glimpse, both visual and descriptive, of life as a prisoner of the Japanese forced to slave on the Thailand-Burma Railway. Foreword to collection compiled for “USS Houston Survivors Association”. "In May of 1943 a group of prisoners of war, mostly British and Australian, left Changi prison in Singapore destined for the jungles of Thailand. Thirteen Americans were included in this group of unfortunates who would be forced to endure untold brutality, starvation and diseases while building a railroad trestle on the infamous Burma/Thailand Death Railroad. One of those Americans, A U.S. Marine survivor of the sinking of the U.S.S. Houston named John Wisecup, gained a reputation as a ‘rugged, tough man’. Despite legs swollen by beri-beri, leg and foot tropical ulcers, dysentery and occasional bouts of malaria Wisecup not only refused to shirk his share of the slave labor but also entertained his fellow Americans with his wit and cartoons. After his return from the war Wisecup wrote a poem " Saga of Bamboo Jack ”and sketched a series of drawings depicting his recollections of that "part of hell” that was called Hintok. Critizing his drawings as ‘cartoonish’ Wisecup did nothing with them other than to give a few to some friends and shipmates. We have finally persuaded him to share his drawings with all of us. Although Hintok was one of the worst, we feel that it represents all of the many atrocities committed upon helpless prisoners of war by the cruel Japanese and Koreans, and that Wisecup’s drawings are a gruesome reminder that we must never forget." Posted on April 17, 2017 at 2:31 am. One of the biggest and most important national occasions for Australia and New Zealand is the Anzac Day. The abbreviation ANZAC stands for Australian and New Zealand Army Cops. This day is commemorated on the 25th of April and marks the anniversary of the first military action fought by Australia and New Zealand in the First World War. At 25th 1915, the Australian and New Zealand forces landed on Gallipoli. Although the campaign itself did not result in a victory for the Australian and New Zealand forces, it did establish the day as a national holiday for remembrance and commemoration. At the beginning of the ANZAC Day, it was a remembrance for the First World War, but with the Second World War, the day broadened to include those who lost their lives in all the military and peacekeeping operations in which Australia has been involved. Every year, many ceremonies across the globe are organised including one in Thailand. The ceremony in Thailand is located at the Hellfire Pass in Kanchanaburi. Australia had troops all over the world during Second World War and many were captured, these captured troops were forced into labour at the Thai-Burma Railway. Thousands of them died in the barren circumstances while many more suffered lifelong traumas. While it has been over 60 years ago, it still is as a fresh wound for many of the children and grandchildren of the ones that passed away during this horrific period. Thus every year on the morning of the 25th of April, the ground of the Hellfire Pass is used as a memorial ground, in 2005 a commemorative memorial has been installed by the Australian government and is since then the gathering place for the ceremony. In 2012 approximately 1100 people showed up at dawn, as the dawn is an important time of the Anzac Day. Following the ceremony, the visitors share a so called ‘gun breakfast’ of tea, coffee and the classic Anzac biscuits. This breakfast is at the Hellfire Pass Memorial Museum just above the Konyu Cutting (Hellfire Pass). After the breakfast the group travels to the Kanchanaburi War Cemetery for the 10 a.m. service. It used to be at 11, but due to the immense heat in the sunny Thailand, they decided to have it an hour earlier. The ritual here is a little bit more multicultural although Anzac is traditionally for Australians and New Zealanders. Thai authorities also lay many wreaths and young Thai play music in the bagpipe band. On the night of the 24-25th many Australians gather at the Home Phutoey Resort which is one of our sister resorts. This resort is located close to the Hellfire Pass and also offers history of the tragic Second World War. Besides the fact that there are still rooms available at Hintok for the Anzac Days, if you happen to be in Kanchanaburi another time do not hesitate to stay at Hintok River Camp for at least a night. The Hotel is nearby the Hellfire Pass and thus a perfect spot to explore the surroundings of the beautiful and serene nature in Kanchanaburi. Posted on March 21, 2017 at 5:56 am. For most of us life is a constant rush of modern times, working in big cities and typing away on keyboards. While we might not work less than earlier, we definitely work and live differently. The hard labour is often being replaced by office work and the places that still do have hard labour are often within the city with the use of bigger and better modern tools. This all shows how much we developed as humans, how much we innovated and evolved throughout the centuries. Yet, many of us feel suffocated by this life as well. There is a resurgence in the search for adventure, nature and escaping from the modern city life. People go out for weekend trips into the nature, watch television shows of others going “Back to Basic” and spend their holidays on adventurous trips themselves. For many the idea of going out there and experiencing adventure and nature is not only a way of escaping the city life, it is also a way of understanding other perspectives and way of living. By going to these different places, you meet different cultures, do different activities and enrich yourself in cultural knowledge. While this change might definitely be because of a romanticized idea of adventure, it does showcase the search for it in our society. As said before, there are many ways in which this idea of feeling part of an adventure can be reached. Many televisions shows such as ‘Man vs the wild’ and ‘Dual Survival’ to name a few focus on this aspect of educating the ones watching the series as well as giving a safe momentarily escape from the busy life. Another way is travelling; finding hidden spots throughout the world and be adventurous while still having the safety net of home in the big city. Whether it is camping in the outback, spending a day walking in the park or Glamping at the most beautiful spots in the safari. Hintok, a great adventurous getaway. Serenata offers this experience in many different ways as well. While the city of Kanchanaburi can be deemed as busy life as well, the location of the resorts offer the ultimate adventure experience. Hintok River Camp is one of these locations where you can not only escape the big city but also getting an idea of how it is to live adventurous, while still having the comfort of a holiday stay. The camp has a campfire are night, tents to sleep in and sheep’s walking around the camp all the while being surrounded by beautiful and stunning nature. Escape the city, go into the nature, experience different lifestyles and be adventurous. Posted on October 17, 2016 at 4:51 am. When you have a trip you will plan about your look. 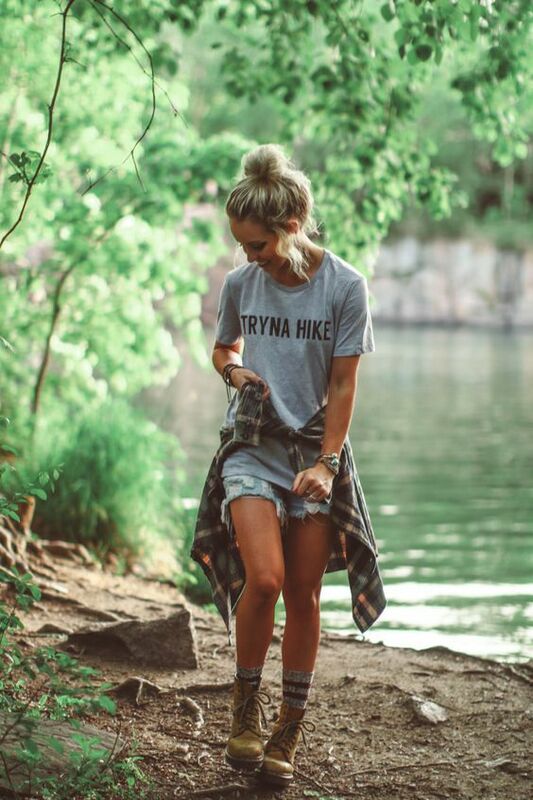 Everyone wants to share cool style on Social Media. Let check your style for next Camping trip with 4 Camping Styles. Winter is coming… over size of sweater look like Boy Style. Matching with green pants it looks cool. And if you have white or off-white scarf it so very nice. Don’t forget sunglasses. If you have a camping plan, you will forget your jeans. 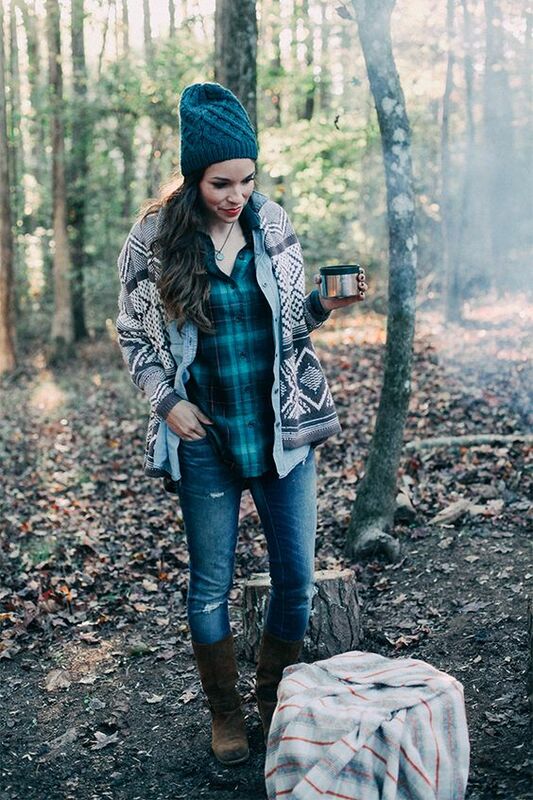 And if you match with plaid shirt it so look great Aww… with wool hat too. 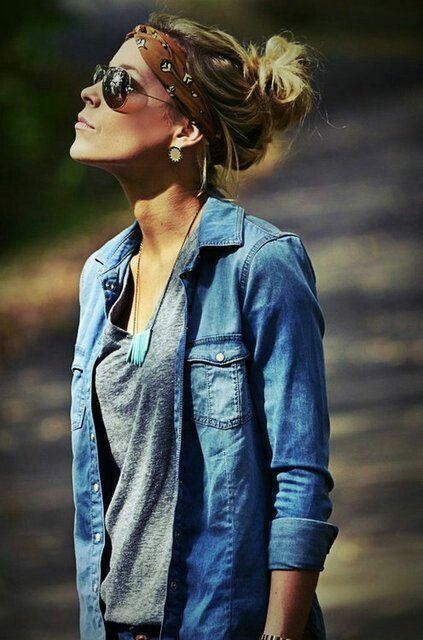 Jeans Jacket is one of the famous wear you can have. It’s one of the classic item for camping looks. You can use pattern hanky for headband and wear easy t-shirt inside. HellFire Pass Museum – Kanchanaburi #1 Destination of Travelers. Posted on August 18, 2016 at 8:31 am. This is #1 Tourist attraction in Kanchanaburi, Thailand on Tripadvisor. With 652 reviews it is rated 5 stars by reviewers. We are proud of this museum has a national historic places and offer the best site for travel in Thailand. Hintok River Camp is at the shore of river Kwai under this Hintok River Valley – HellFire Pass. This is located in Sai Yok District of Kanchanaburi at River Kwai Noi. The Best safari Tented Camping resorts is located beneath the historic museum. Also, Popular known as Camp Hotel in Kanchanaburi,River Kwai. The unique Glamping site of Thailand has much more to offer then just an accommodation. H] Boat trips and much more… See the river kwai, kanchanaburi tours of your interest. Click Here. Posted on May 27, 2016 at 10:47 am. The term ‘camping’ itself leaves numerous of us starved for various reasons. Some of us fancy enthusiasm orpleasure and some merelyawe-inspiring dishes. In most cases, food and accommodation bit is something evergreen and remains in the list of several travelers. Camping Resorts in Thailand are famous for providing delectable food varieties with luxurious tented camps. Glamping Thailand activity is all about having a festive time without getting restricted in a room. Pamper yourself in the beautiful nature and take pleasure in being away from the bustling life. In short, a journey to the River Kwai Hotel @ Hellfire Pass brings the travelervery close to nature, satisfying mind with astonishment of wilderness. Posted on May 27, 2016 at 10:38 am. What would you say, if you go out for Glamping and do not enjoy luxury of this stylish activity? Wouldn’t you call it just camping? Definitely you would. To satisfy travelers beyond their expectations, River Kwai Resort offers deluxe amenities to enjoy Glamping at its best. Camping Resort offers half open-air restaurant facing beautiful river “Kwai Noi”. Tourists can have a look at magnificent scenery while drinking and eating tasty food cooked by specialist Thai Chef’s. There is lot of choices available for food-lovers in the menu which includes Thai and other continental foods. You can also enjoy fine variety of drinks including cocktails, wines, martini, etc. One of the centric attractions among the tourists is the natural spring pool located on the edge of Kwai Noi River. There you can relax your mind and body, and along with the marvelous view of sunset you can feel the cool breeze passing by. Also, you will find a new meaning of recreation in freshly running and naturally clean water. When the sun sets, another side of Hintok River Camp @ Hellfire Pass begins. We offer exotic buffet styled B.B.Q. dinner around the camp fire and your canvas tent’s frontyard. For a special occasion request, we could also organize Mon dance performance (Mon is the native minority community living in the border of Thai-Burma in Kanchanaburi) while enjoying your barbeque dinner under the moonlight. Apart from above amenities, you can also find various other luxurious facilities and tented camps to make your stay comfortable and memorable! Posted on May 18, 2016 at 5:54 am. Hintok River Camp @ Hellfire Pass ‘s recreational and mini adventurous activities will acquaint you with close-contact to nature such as mountain biking, trekking at Hellfire Pass, canoeing, bamboo rafting and visiting Mon tribal village and many other excursions. Along a 4-kilometer walking trail visitors can take a closer look at this historical Hellfire Pass, walk along remaining railroad tracks and even walk into the cutting! Entry to this museum is absolutely is free. Discover the history of Hellfire Pass with the modern setting museum with knowledgeable information regarding World War II and the origin of Hellfire Pass. Biking early in the morning is one of memorable things to do here. As biking across a suspension bridge to a local temple amidst morning fog and fresh air refresh your mind for the day. In Thailand “Elephants” mean a little more than only the world’s largest land animals, they are Thai national animal. Grab this charming opportunity to explore the abundant tropical jungle while riding on an elephant. It’s safe, fun and fascinating. Explore the Kanchanaburi’s largest and most famous cave. The cave is beautifully designed by nature with stalactites and stalagmites in many unique formations. There are several great waterfalls worth paying visits in Kanchanaburi including Erawan waterfall, Sai Yok Waterfall, Sai Yok Noi Waterfall and so forth. Sun bathing in the tropical jungle is actually better than on a beach due to higher level of air moist that helps to protect your skin. There are numerous colorful birds such as Horn birds, Kingfisher etc. owing to the abundance of the forest and also next to national park reserve. Enjoy a breath-taking ride on a long-tailed boat, Thai watercraft native, along the historical river of River Kwai Noi and stunning natural surroundings with abundant green nature on both sides. Canoeing downstream on the historical river, River Kwai Noi, by enjoying lush tropical forest on both sides is also one of our guest’s most favorite activities to do. If you like challenges, you can also go for canoe upstream confronting the river current offering you big fun. If you think canoeing is too “Western” and want to try something local…try Bamboo rafting. The raft is totally hand-made and in real life, some local people do travel by raft instead of boat. Mon temple is reserved for religious or spiritual activities of Mon people. The temple structure is grand and unique. Take some time to escape from your business and stress of your daily grind, cool down your holiday with our pampering Royal Thai massage session which will rejuvenate your body and mind. Hintok River camp @ Hellfire Pass is waiting to serve you an exclusive and unforgettable safari experience suited for those who appreciate different things in life. History behind Hintok Glamping Resort. Posted on May 14, 2016 at 4:19 am. Hintok RiverSide Building of Train during World War II. Along with the promising accommodation in Hintok valley, there is much more tours and trips to offer. A adventure that is never forgotten. This is just at top of the hintok mount, above the valley of Hintok rail construction. A place where British POWs and Australian POWs lifestyle is shown. This place will take you to the pas. Japan locked Britishers and Australians to work for them. They build River Kwai Bridge and connect them to Mynammar and Thailand. Hintok Mount is a part of that bridge. Cut down of Mountain and building train tracks was never a easy work. Rain and Survival in Tropical forest, living in camps is a history of Hintok. Hintok River Camp is preserving the history and letting you see the past with its Glamping Resort in Kanchanaburi, Riverfront resort on River Kwai. Glamping Thailand: Relaxing Stay Amidst Nature’s Charm! Posted on May 8, 2016 at 5:19 am. It happens at times when we overlook or don’t have time to enjoy in the elementary pleasures of life. For instance, hearing to the crackling of a dancing fire while nested under a warm quilt under a layer of stars; scrambling over a tough fence post to walk through a pasture of uncultivated flowering plants bending in the gentle wind; or listen to tales of friends, family and loved ones around a table loaded with delectable cuisines. These are the simple delights that subsist in the perfect nature of Kanchanaburi Province, Thailand. No matter whether you chose to abode in a tent, dome, airstream, hut, cabin or tree house, glamping is just the right way to experience the great open air stay without making a sacrifice of luxuries. Many independent property builders and global hospitality brands have took advantage of Glamping as the most tossing up demand among travelers are interested in experiencing just the better side of camping by leaving the dilemma attached. As glamping sites offers the high level of service that revolves around providing the all over comfort to the guests. Let us introduce you to the most sought after Thailand glamping site @ Hellfire Pass – The Hintok River Camp. This naturally luxurious Thailand glamping site is perfect for nature lovers and for those having interest in the stunning historical past of this area. All these features when combine into one; offer some of the most incredible holiday experiences in the Thailand. Especially, for families with kids and for those travelers who came to escape the hustle and bustle and loosen up in nature’s charm and country comfort. Posted on April 30, 2016 at 4:39 am. Are you planning to go on a safari tour but not able to decide whether to book and stay under tented camps or in a permanent setting lodge. Prior to taking any decision, you need to be attentive as in case of camping resorts Thailand things aren’t appears to be the same as they look from far. To majority of travelers, even the smallest discussion on the word “camping” fills their hearts with fear invoking scenes of fights within tents and howling storm. However, in camping resorts Thailand, staying under tented camps can be one of the plushest experiences one can ever have in a lifetime. In fact, tented camps are one of the best options available to stay on an expedition. Thus, adding a value to your trip that you simply won’t get in a solid formation like a big hotel. 1. They offer a great deal of features to make your stay a lot more comfy than you can even imagine. 2. Tented camps are generally small in size and mostly owned by private individuals, so their attention to detail and service standards are by and large better than the big hotels. 3. In a tented camp, you get the feel of wild and nature with greater proximity which is all the more exciting. Not like a big hotel room where you get sealed in a packed room and cannot enjoy the natural surroundings including the chirping of birds, the roaring of tiger, elephant’s trumpet, etc. River Kwai Hotel – For Luxury Camping Resorts in Thailand! Posted on April 20, 2016 at 7:32 am. Luxury or Glamorous Camping, more popularly known as ‘glamping’ – is the term given to a 5 star tented camp, usually in some of the most amazing locations available. The most attractive thing about luxury camping, and which is also been seen as the key reason for its high popularity and prominence, is that it brings far-flung beautiful areas within the reach of people who feel that they just can’t adjust in a normal tented camp and its environ. It is also a sign of relief for those who even get flinch at the mere thought of seeing a snake, or rolling over in their sleeping bag. They need not fear any longer! For them River Kwai Hotel arranges naturally luxurious Thailand glamping site at Hellfire Pass. Such camping resorts Thailand also offer magnificence camping experience in traditional tents. Many high-class glamping destinations use tented camp that look like semi permanent arrangements generally set on poles with good quality flooring, sky-scraping ceilings, comfy furniture, modern toilets and showers to take bath. • Just to be different and unique, they go far-off distant places in search of beautiful sites for glamping. • It is for their guest comfort only that they provide every possible luxury at such remote places at their particular establishment. • Exclusive excursions – Rafting, mountaineering, jungle safaris, voyaging, etc. Another apparent reason for the increasing popularity of glamping facility offered at River Kwai hotel is that many affluent and socially settled people always remain in quest of “the next big thing” they can do and share their experience and images among their friends and social circle as well as on social sites. Thus, nowadays people see glamorous camping as a status symbol as well! Glamping Thailand – An Experience of a lifetime! Posted on April 16, 2016 at 1:54 pm. 1. Nature Friendly: With glamping, you get more by paying less. While in case of hotels, the cost of energy and materials used in the building and running the establishment requires huge sum of money. However, there are many examples in case of glamping accommodations or tented camps that get benefits of environing components of nature such as composting toilets, solar power and working gardens to name a few. 2. Close to Nature: Glamping Thailand sites connect travelers with the beautiful nature and let them enjoy and have an amazing experience that can be remembered for a lifetime. So why not just elude from the noisy and uncongenial place to take a break in the nature’s lap from the hustle and bustle of cities. Glamping Thailand offers an opportunity to unwind and refresh yourself when your life happens to be feverish. Such tented camps provide a chance to step out of the door of your tent or tree house into your own private nature’s retreat. 3. Unending Thrilling Activities: Mountaineering, biking, cycling, water rafting, voyaging, animal or bird viewing and camp fire to list a few. One can participate in any such activities along with relishing glamping experience. In Thailand, you can find various glamping accommodations situated on some of the best river side in the world, one such naturally luxurious tented hotel or one can say camping resort near River Kwai, Kanchanaburi, Thailand is Hintok River Camp @ Hellfire Pass. To get fresh air and sheer leisure, experience Glamping Thailand and have memories for the lifetime.